The new findings are reported in the journal Nature Nanotechnology by three MIT professors—Marin Soljačić, professor of physics; John Joannopoulos, the Francis Wright Davis Professor of physics; and Gang Chen, the Carl Richard Soderberg Professor in Power Engineering—as well as MIT research scientist Ivan Celanovic, postdoc Ognjen Ilic, and Purdue physics professor (and MIT alumnus) Peter Bermel PhD '07. The team refers to their approach as "light recycling," says Ilic, since their material takes in the unwanted, useless wavelengths of energy and converts them into the visible light wavelengths that are desired. "It recycles the energy that would otherwise be wasted," says Soljačić. The technology involved has potential for many other applications besides light bulbs, Soljačić says. The same approach could "have dramatic implications" for the performance of energy-conversion schemes such as thermo-photovoltaics. In a thermo-photovoltaic device, heat from an external source (chemical, solar, etc.) makes a material glow, causing it to emit light that is converted into electricity by a photovoltaic absorber. "LEDs are great things, and people should be buying them," Soljačić says. "But understanding these basic properties" about the way light, heat, and matter interact and how the light's energy can be more efficiently harnessed "is very important to a wide variety of things." Actually, this could be a great technology. Two questions however. One, how long will it take to bring to market. If it's five years out there could easily be other technology that eclipes it before it ever hits the shelfs. We need this now or asap. Second, how long will a bulb with this technology last? As I recall, most incandescents have a life of around 1500 to 2000 hours. This, compared to 20,000 for LED's. The total cost of operation still needs to be competitive for this to work. There may be other more useful ways of producing light. "After 10 months of near silence and a name change the company formerly named Black Light Power now Brilliant Light Power is seemingly coming out of the shadows. Last night the company posted a public demonstration invitation slated for January 28th." Basic operation seems to parallel a laser. Even if incandescent bulbs were made as efficient as LED lights, LEDs would still have a major advantage: they don't break very easily when you drop them. Reflecting IR back to a filament to improve light emission and efficiency is not new although the particular material utilized may be new. See for example U.S. Patent No. 4,375,605 dating to about 1983. Duro-Test was very active in this field and sold such lamps. If my memory is correct, GE was also touting a high efficiency filament lamp in the mid 2000 time frame that also used reflected IR to provide the boost, but apparently abandoned the program, probably due to emerging LED technology. Superheating a tungsten filament introduces additional problems such as losses due to the reflecting materials, greater deterioration of the filament, and higher operating temperature. I'd be very interested in any estimates of what it would take to put something like this in production. Are the reflectors expensive to fabricate, small enough to fit a standard size bulb, durable, delicate? If it is a simple structure, then we don't have all the failure mechanisms of the LEDs from all the added capacitors, and other switching circuit components, but the filament will still be short lived. Hmmm, but for places where a 'warmer' light is OK, you could run the filament at lower than rated voltage (like the 'rugged' bulbs), and still have most of the increased efficiency, but get longer life. When turned on and off like an incandescent CFLs fail quite quickly. I just put 3 60w equivalent LEDs into a kitchen ceiling fixture and 2 of the three have failed in a matter of months. These new bulbs do not last nearly as long as purported. These new bulbs might meet their advertised specs under ideal conditions but not in the real world. "Transparent IR reflectors" if this is true the reach extends way beyond efficient incandescent. That's all nice and dandy, but nanotechnology has never ever spelt "cheap to implement nor cheap to do save the pharmaceutical and substance production industries. " This seems to compare to other attempts in history. In 1981, Duro-Test of New Jersey introduced the Mi-T-Watt Saver light bulb, claiming 80+% efficiency by a dichroic coating on the inside of a spherical light bulb that kept heat from leaving the build. In the concept, heat was reflected back to the filament to keep it hot. The coating allowed only visible light to leave the bulb. I visited Duro-Test in 1982, and was quite impressed with their bulb...which I was investigating as a potential light source in a new product I was working on. It was very bright, missing the long wave reds, and although the bulb surface was very warm, not much heat was emitted. So...it is 2016. Where is the Mi-T-Watt Saver. Apparently, there were serious manufacturing problems, and I never heard from them again. Does anyone know more? In any case, this work by MIT is worth following. LED have their advantages: they can for example transmit data and they have much longer lifetime. But they also have their disadvantages: they do require expensive and complex circuit for their powering, which are spreading EM noise into outside. And they do require expensive materials (indium, rare earth elements), which face shortage. I can also see few problems with photonic mirror, which will lose its efficiency due to deposits of tungsten evaporated from filament. But the photonic mirror could be integrated with halogen cycle, which will aslo remove the problem with deposition of metal from filament. It's sorta pity, this technology hasn't been invented before few decades, because it's actually quite simple. These new bulbs do not last nearly as long as purported. These new bulbs might meet their advertised specs under ideal conditions but not in the real world. It's the switching mode transformer in the bulb's base that breaks. The LEDs themselves are virtually unbreakable, except against excessive heat. It's ironic because the switching device is used for making DC current for the LEDs so they don't blink. It's what makes them expensive, and it's also what makes them very sensitive to power quality issues in the distribution grid. I bought some $2.99 edison bulb imitation LEDs which have no SMPS inside - just a string of diodes for the full line voltage and a small resistor for a current limiter. But, there's two parallel strings in different directions, which produces a 100 or 120 Hz sinusoidal pulsation. It's not immediately apparent, but when you swipe your hand underneath the light, you see 10 fingers appear in the air due to the stroboscopic effect. That company was an obvious fraud. 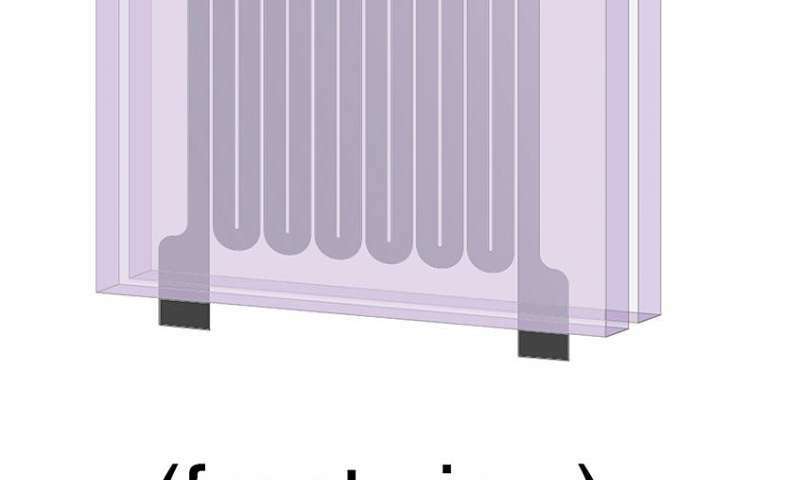 The highest theoretical efficiency for an ideal black body radiator (lightbulb) that is spectrum limited to within the 400–700 nm visible range is 37% which corresponds to the 40% maximum efficiency mentioned in the article. They simply rounded it up a little. An 80% efficient lightbulb would have to be monochromatically green or yellow, much like one of those sodium discharge lamps. From the sound of it, it never existed in the first place. Whatever demonstration models you saw were not the real thing. The low quality LEDs are also nothing special. Especially when bought from China. They're often fake or discarded modules that are marginally functioning and put back to circulation by dumpster-diving entrepreneurs. Manufacturers, even reputable ones, also basically lie to you about the specs of their lights. A couple years back I bought a Varta LED lantern that claimed to be 4 Watts in power, but in reality the current draw from the batteries was closer to 1 Watt even at the full brightness setting. They did use a 4 Watt diode - probably since I didn't tear it apart to check - but simply ran it on reduced current to make the batteries last longer. It runs on three 1.5V D-cells in series, and claims a 72 hour run time. Well, the problem is that a string of three alkaline D cell has on the order of 14,000 mAh x 4.5 Volts = 63 Watt-hours of energy, which means the lamp has to run at less than 1 Watts to make it past 72 hours. If it really was a 4 Watt lamp, it would run the batteries dry in about 15 hours. It did not. Therefore it is not a 4 Watt lantern despite the obviously false advertising. I bought it because it's got a hook at the bottom so you can hang it inverted in the ceiling to act as a room light (the top comes off as well), but since it's got less than a watt of power it's not nearly bright enough for that purpose. We ended up using a coleman gas lantern. Incandescent bulbs, commercially developed by Thomas Edison (and still used by cartoonists as the symbol of inventive insight), work by heating a thin tungsten wire to temperatures of around 2,700 degrees Celsius. The Edison incandescent bulb used a carbon filament, not tungsten. The Edison bulb out-performed the tungsten bulb on lifetime by several orders. However, manufacturers don't want products with long lifetimes. Ca;m down, tungsten lasts longer and has a higher efficiency because it can operate at a higher temperature without appreciable evaporation. @ swordsman - please provide some references for that (especially 'by several orders'!). It would have taken a real world-wide conspiracy for every manufacturer on the planet to switch to an 'inferior' filament to sell more light bulbs. Unlikely, but I suppose not impossible, but I won't accept it w/o evidence. It wasn't that long ago that the utility *gave away* light bulbs to customers. They sold more electricity that way! While I can't immediately locate the numbers, surely the evaporation temps indicate the same type of equivalence. This could be quite good because incandescent bulbs have a continuous emission spectra which translates to better light quality. While LEDs like computer monitors and TVs are made for the human eye which has a red, green and blue receptor so they only emit red, green and blue wavelengths, while an incandescent light bulb emits all visible wavelengths. If they can make them 40% efficient then it would be twice as efficient as the best LEDs AND have better light quality. The only down sides I can see is this: if they run it as the same power it would eventually heat up so much it would melt, however that would be counter effective since the point is to run it at lower power. However, if they run it at a lower power then they would have to wait for it to heat up in order to reach maximum brightness. It wouldn't be instant on at full power as a normal light bulb or LED. I don't know how fast it would reach maximum brightness though. @mikael_murstam - I really don't think it would take a noticeable time to warm up. A filament has a very small mass, so the time to reach white hot is short. Take a filament bulb, put it on a dimmer, set it low (but still high enough to turn on/off reliably from an on/off switch. When you turn it on, it may take a fraction of a second to warm up, but that's all. Not going to be a problem. I'm more concerned about whether this is actually manufacturable at a competitive price. The carbon is "quite" volatile (it sublimes at 3642 °C), whereas tungsten has boiling point 5930 °C - it indeed makes the difference. Plain carbon filament also has a negative temperature coefficient of resistivity. When the filament overheats its resistance goes down, which makes the bulb draw more current and heat up even more. That's why you can only run the original edison bulbs at a very low temperature where they barely glow - otherwise they flash over and die. They later figured how to "metallize" or turn the carbon in the filament into graphite which has a positive temperature coefficient, so it's self-regulating, but a further problem remained because you can't coil a carbon filament. It's just hanging straight and loses a lot of heat. Tungsten filaments are double-coiled. The wire is twisted into a spring, and the spring is twisted into a spring. That lets you fit a lot more wire inside the bulb, and the adjacent coils of wire help it retain heat. However, if they run it at a lower power then they would have to wait for it to heat up in order to reach maximum brightness. It wouldn't be instant on at full power as a normal light bulb or LED. I don't know how fast it would reach maximum brightness though. I don't think that will be a concern. A tungsten filament will pass a lot of current when it's cold, and heat up rapidly regardless. It's a sort of built-in kickstart - as long as the bulb is cold, it will draw extra current until it's hot. An incandescent bulb, old style, wastes **exactly no energy** in a building which is being heated. Only when a building is actively being cooled does this "waste heat" actually matter. This part of the energy equation is routinely left out and, because of that, we've ended up with the abomination of compact fluorescent bulbs - a scourge of backward science. Heating can be accomplished with much less energy than the direct conversion of electricity to heat. Air-air heat pumps come to mind. Compared to that, a lighbulb as a heating element is quite wasteful. That isn't to say that fluorescent bulbs and LEDs aren't an abomination in terms of lighting quality, because the only way they're cheap is by cheaping out on the continuous spectrum and/or light stability. 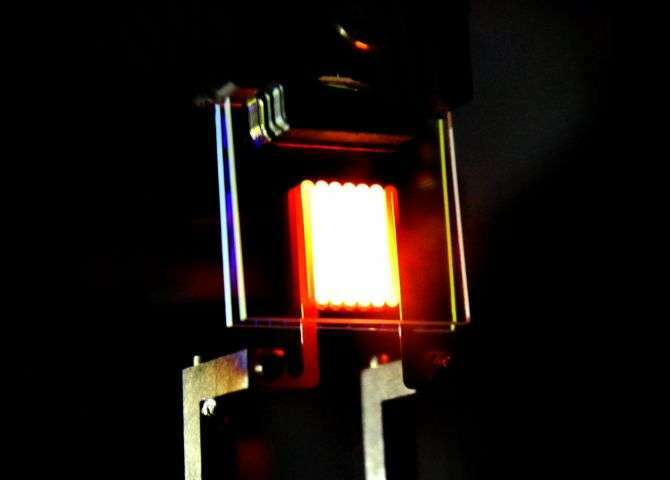 All this discussion and no one has caught on to the fact that the efficiency numbers are based on a monochromatic 555nm light source that perfectly converts electricity into light. Do the math, the numbers for light source efficiency are straight from Wikipedia which means that 100% efficiency = 683 lumens/W. LEDs passed 50% efficiency years ago. The correct metric would be optical power out / electrical power in.